In cannabis genetics, there are actually three main families: Indica, Sativa and Ruderalis strains. Indica strains are originally from Morocco, Afghanistan and Tibet regions where hash is produced. Indica plants have a higher CBD amount, and will give you more physical, sedative, calming and relaxing effects. Indica flavours vary between more skunky, pungent tastes to fruity. Indica plants are more short and dense, with dark green, wider leaves with thick buds. They grow to maturity in about 6 to 8 weeks. Sativa strains are originally from Southeast Asia, Thailand and Colombia, Mexico. Sativa tends to have a higher THC concentration, resulting in a light, uplifting en energetic high. Their taste can vary between more fruity and sweet, to earth flavours. 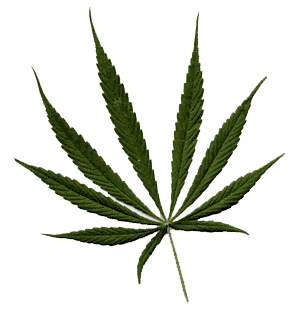 Sativa plants are usually fast growing, slim and tall plants, with thinner, light green coloured leaves. Sativa needs between 10 to 16 weeks to reach full maturity. Ruderalis is the original wild cannabis strain found in areas ranging from Eastern Europe to deep into the Caucasus and Russia. Ruderalis is a fast growing outdoor plant with thin leaves, producing relatively short plants of up to 90 cm. Ruderalis doesn't need any specific light patterns to start flowering, and grows in any amount of light. Although Ruderalis is fairly unsuitable to smoke in itself, its fast growing and autoflowering capabilities make it an ideal strain to cross-breed with either Indica or Sativa cannabis strains to make the resulting seeds auto-flowering. You can check if seeds are of good quality by looking at the colour: brown or dark green seeds are good, white or very light seeds are bad. Also, seeds that float in water will not germinate. While technically all mariuana strains can be grown indoors as well as outdoors, it's the natural season, temperature, humidity, soil, and most of all the daily amount of sunlight and lenght of the growing season that determines which cannabis strains are more suitable to produce a satisfying yield outdoors or indoors. With a long natural growing season, most plants will do well outdoors. The Indica/Sativa ratio is the most important factor to determine the flowering time of the plant. The more Sativa genes, the longer growing season the plant needs and the longer time it takes to mature. As a rule, fast growing Indica is more suitable for outdoors as well as indoors, and slow growing Sativa more often needs indoor cultivation with growlights. Local growing conditions are a very important factor as well, and any given estimates about plant height, growing period and yield amounts will highly depend on your cultivation methods, nutrients and amount of light given to the plants. Smaller plants with mostly Indica genes are more suitable for indoor cultivation, for reasons of size, as well as the fact that growlights tend to be effective only up to 1 meter downwards. Choose lots of short plants over a few larger ones when growing indoors. Resin glands in the flowering mariuana plants contain the active substance THC. The dryer and hotter the atmosphere, the more glands and THC is produced. Vegetation time is the time it needs for a plant to grow from seed to its maturing start, and to begin its flowering period. The flowering time is the time an indoor plant needs to fully mature, from the moment its flowering stage is induced by altering the light schedule to a darkness period of 12 hours. Shorter flowering periods depend mostly on a higher Indica percentage in the plants genes. In general, Sativas grow taller with a much shorter vegetation time and a much longer flowering time, while Indicas stay smaller with a longer vegetation time and a much shorter flowering time. To get the best yields, each strain needs to start and run its optimal flowering time period to flourish.